Procross/Proclimb 4 wheel kit - Grip N Rip Racing LLC. This is a new 4 wheel kit for the 2012-Present Arctic Cat Procross/Proclimb sleds. Also fits the XF. Does NOT fit on the race sled or the RR. This kit includes two outside wheel spacers and hardware to allow you to add outside wheels to your sled. Designed to work with the stock axle and wheels with the 20mm/.787" diameter bearing. The Procross 128" sleds have 7.12" diameter wheels. The XF and Proclimb sleds have 8" wheels. This kit will allow you to add outside stock size wheels. Fits all 2012-2013 new chassis sleds, 128" Procross, XF 141", Proclimb 153" and 162". 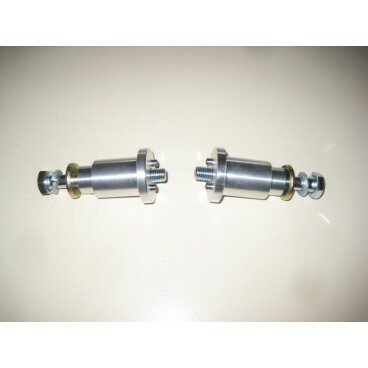 Benefits are increased durability by having 4 wheels and bearings taking the load instead of only 2 wheels and bearings. Easy bolt on installation. You don't even have to loosen the track, pull off the stock outside axle bolts and washers and put our kit in it's place. 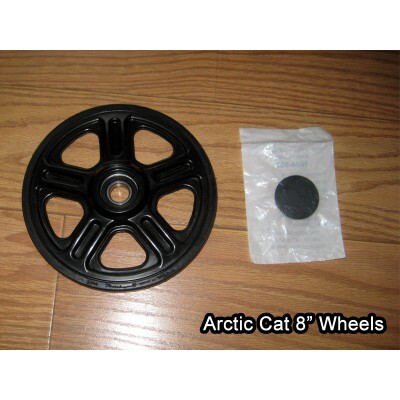 Black Arctic Cat 7.12" and 8" wheels are available by choosing your size below or you can use your own wheels if desired. Just click on the options box below and the size choices will appear. Wheel price is for a pair of wheels and wheel covers. 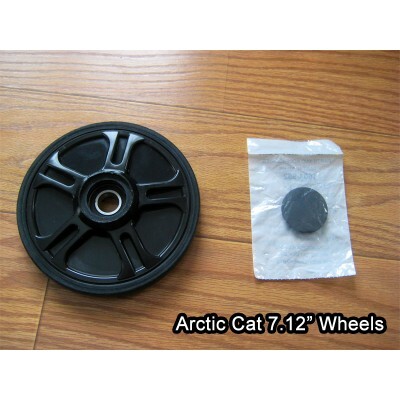 Black Arctic Cat 7.12" and 8" wheels are available by choosing your size below or you can use your own wheels if desired. Wheel price is for a pair of wheels and wheel covers.